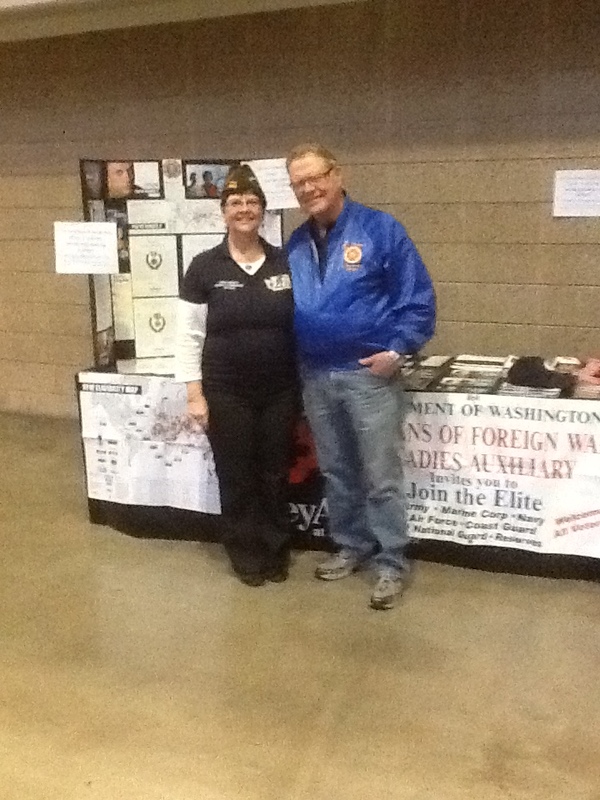 As some of you may know we teamed up with the district to participate in the Seattle U Veterans Night that is supporting the Wounded Warriors. We will be setting up around 2:30 PM. My understanding is youth and adult Military teams are going to be playing 3p-5p prior to the Seattle U game that begins at 7 PM. I think this is a great opportunity to do something in the Seattle area for veterans. Please let me know if you want to attend. Tickets are limited. Our District 2 Commander Linda Fairbanks and Ray Fairbanks, Post Adjutant (along with many other titles) participated at this great event. They told me that they were able to recruit some new members and meet some great veterans.